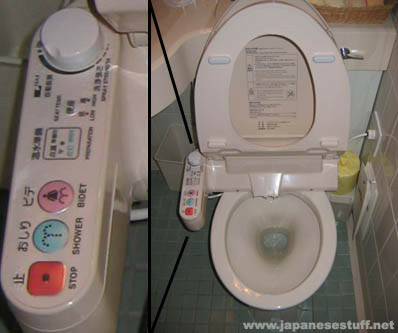 OK, I am in no way saying that Japan is better than the United States. BUT, there are definitely some things I’ve noticed they do a helluva lot better than us. This is my list after just one week in Japan. 1. The Japanese know how to dress. Young or old, every man, woman, and child in this country knows how to dress. You’ll find no slouches in this bunch – the kids are in newsboy hats and I often find myself thinking “man that kid dresses better than I do…” while riding the train. Whether they are headed to work, a leisure day, going to school or the grocery store – the men are always sporting stylish kicks and buttoned into a wool coat + scarf. And the women – well, I think I was made to be Japanese. Touting only skirts and dresses, right now in the cold weather season there are plenty of stylish leggings and boots to go around – not to mention women exercising their right to bare legs (you see what I did there?). Whether they’re rockin’ the fur, cat tights, or a wool skirt with bare legs and booties – the women should be awarded for their effortless fashion because they can literally pull off anything. Public transportation via trains is cheap, easy, and SUPER fast making commutes to work or to the store a manageable trip. We are living in a Japanese-only neighborhood called Tsukuihama which is way far from the base by city standards, but with the train we are only 17 minutes away and allows us easy access to the city while keeping our distance. Cabs, on the flip side however, are very expensive. The one-way cab fare to our place is about a $50 cab ride! Yikes! 3. 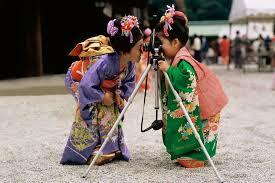 Japanese babies are cute as EFF. I’m slightly biased on this one because I’ve always believed Asian babies are the cutest (and not to say American babies aren’t cute), but the babies I’m seeing here have a higher ratio of those cute, lovable chipmunk cheeks and seem to always be in zen-like happy contentment. And they’re always in these fuzzy bear suits because it’s winter and why not put them in a cute bear or bunny suit? My gosh I just want to squeeze them…I rank them cuter than kittens but not quite cuter than puppies. Thanks to the 100 Yen Store (equivalent to the US Dollar Stores), everything in these bad boys are only $1USD, but they are not filled with useless crap. They have everything, I mean, EVERYTHING. I just completely outfitted our entire house with hangers, kitchen items, dishes, bathroom items, slippers, and food for a whopping $33. Can you remember the last time you moved and rebuying everything from scratch cost you less than $50? Said no one. Ever. Thanks to Nonna for directing me to the amazingness of the 100 Yen Store. 5. Their every day technology is way better. 6. This is probably the cleanest place on earth. The U.S. is one of the cleanest places in the world with an infrastructure for waste, of course that being how to get rid of it. But here, it’s a two-part: their daily practices are “clean” such as no shoes in the house, sweeping everything constantly, etc but also, economically they do not produce as much waste. Everything is in smaller portions, including waste, as evidenced by our trash can being the size of a beach pail. But we’ve realized, it’s because we don’t produce as much garbage to throw out. Putting those two things together means super clean streets, homes, and country. 7. Last but definitely not least, the people are darling. Not just darling, I’m talking ddaarrrhhhlliinnnggg. The Japanese people are so kind, respectful, and just so dang cute. The first night in Japan we went a local restaurant about 2 mins from our place, owned by an elderly couple that spoke very little English and with extremely heavy accents. Since they didn’t speak English and we didn’t speak Japanese, a solid 1.5 hours of charades ensued to try and communicate with each other, including what to eat (there was no menu) so she started cooking up a bunch of random dishes (that led to Branden eating herring roe with squid flakes), and after a couple free rounds of beers aka “presents!”, soon enough there I was whipping out pictures of my family, and them ooh-ing and ahh-ing broken words of “bbooorriiffuull” aka “beautiful” and me drawing a world map on a napkin to show Vietnam so I could answer the all-encompassing mysterious question I get no matter what country I’m in (including my own): “Where are you from exactly? You don’t look like anything I know”. Our host Yoshi that owns the apartment we are living in takes us out once a week for dinner, drinks, and karaoke as well as sight-seeing on the weekends to different parts of Japan. Not to mention – you can’t talk on your cell phone on trains/ train stations! This is a very hospitable and respectful place. The people really make this country great and I already feel so at home here. Now it’s only been a week, so give me a couple more weeks and I will be posting a “Ways the U.S. is better than Japan” I’m sure! But for now, this country has embraced us and we have embraced this country!